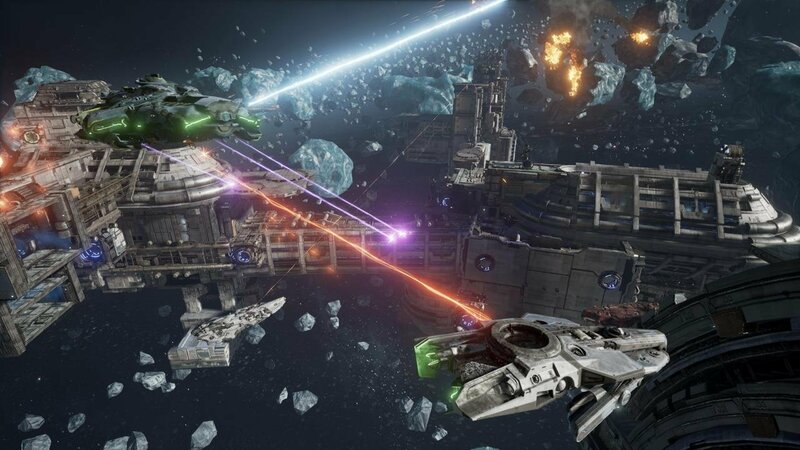 Dreadnought (PS4) Review: It’s all about the Benjamins. 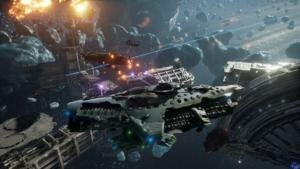 Dreadnought is a free-to-play 3rd person spaceship combat game that takes place in various space and ground maps that happen to have a lot of cover on them. 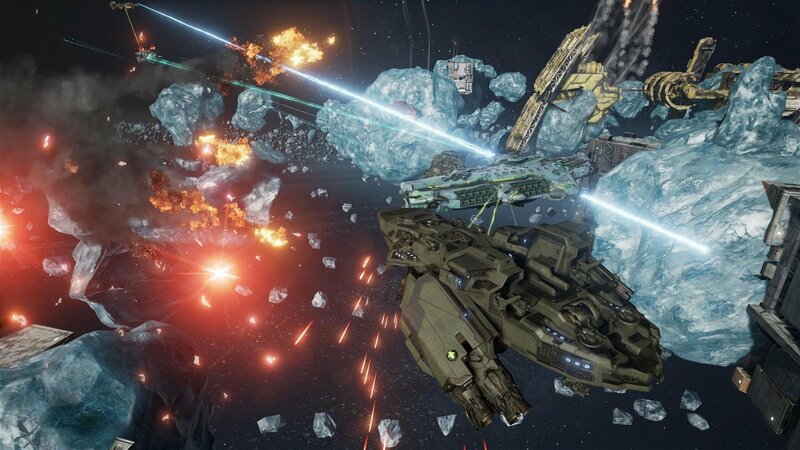 If someone with a blender and YouTube channel tossed copies of Call of Duty 4, World of Tanks, and Star Trek Bridge Crew into their amalgamation machine, the resulting gooey compound would be among the best experiences at E3 2014: Dreadnought. 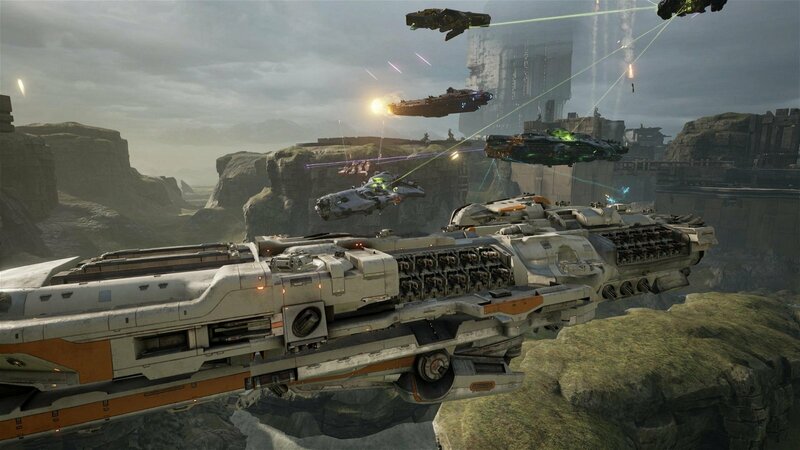 That said, despite the constant comparisons to World of Tanks, I have always found Dreadnought to be a little more streamlined, faster paced, and far more action-packed. 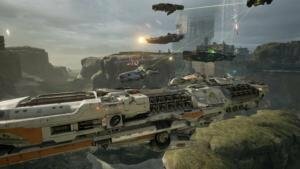 Dreadnought (PlayStation 4) – gameplay image provided by Grey Box. 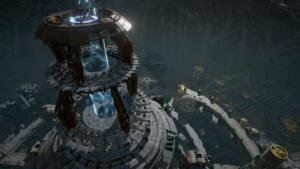 Unlike most reviews, this time I was asked whether or not players should put real money into Dreadnought, since you can already play the game for free on PS4 and the PC (which is currently in beta). That game costs nothing because Dreadnought makes money on the free-to-play model, but I would understand if you did not know that since Dreadnought has shockingly little to sell you. For example, in World of Tanks you can purchase roughly 50 better tanks and crews to fight with online, but in Dreadnought you cannot buy a better ship. You can only buy three extremely ugly ships that I wouldn’t even take to the supermarket to pick up a loaf of bread. I am not sure why they decided to only sell three of the roughly 60 ships in the game, because that seems like the most obvious business choice ever; however, by abstaining they have created a very fair experience for both those who pay and those who just play. So, what you can buy in Dreadnought’s store? The most useful thing by far is the temporary XP/Coin doubler. For a certain amount of real money, the game will offer you twice as much XP and (non-purchasable) currency than what you would normally get. This doubling effect can be purchased for a week, two weeks, a month, three months, and all the way up to a whole year. The reason this is the most useful purchase is because every ship needs to be fully upgraded to unlock the next—better—ship. Unlocking every upgrade requires two currencies, and while it is becoming hard to track what currencies I am talking about, the important point is that you cannot buy one of those two currencies. That unbuyable currency is what keeps Dreadnought fair. No matter how much money you put into the game you can never buy your way to the best ship. The best you can do is speed up the process with double XP and coins. Beyond the coin doubler, I didn’t find much else to be worth buying. There are the three ugly ships I mentioned earlier. There are some visual customization options you can buy that will offer you paint options or decals that few in the game would have. You can buy your captain—an avatar you see for about ten seconds at the end of each round—and some clothing that would be considered rare. 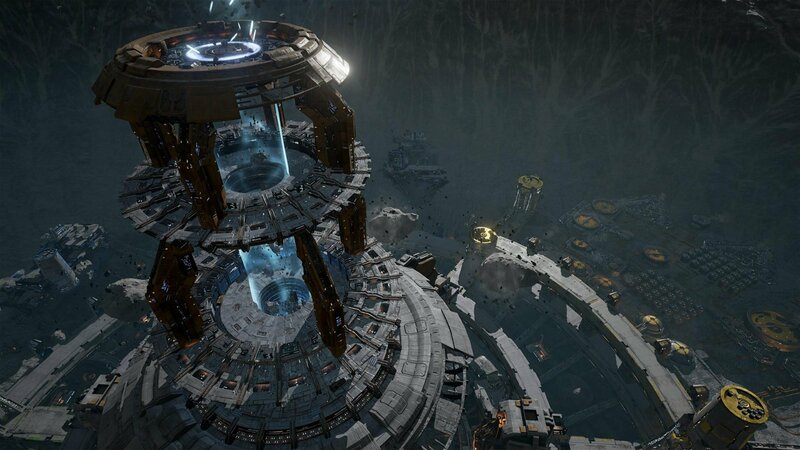 You can also change your real money into most of the currencies in the game, and while I don’t mean to bring this to an abrupt end, that’s the entirety of the Dreadnought holiday catalogue. I should probably mention that CGMagazine was given $66.99 CDN worth of in-game currency by the game’s developers to spend on Dreadnought and I never managed to spend it all. So, depending on how much you might put into Dreadnought, it is now time for the $6.99 to $133.49 CDN dollar question. Should you put money into Dreadnought in the first place? 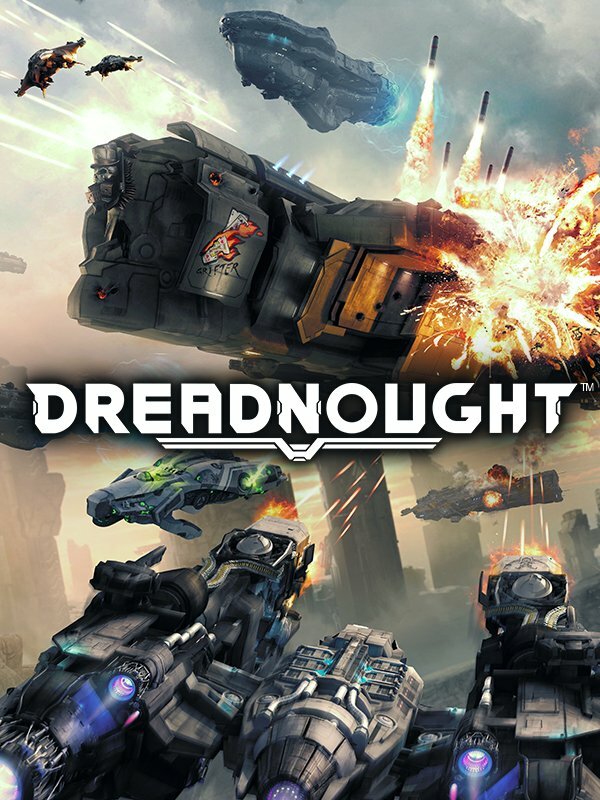 If you are reading this without ever having downloaded the game I would say no, you should not put money into Dreadnought, because I don’t think you’ll ever get value out of it. That’s not to say that there is no value in a game I have loved since 2014, because there is a lot of value here. People should only spend money on Dreadnought when they like it as much as I like Rocket League, and I love Rocket League. I play at least one game almost every day. I bought it on the PS4, even though I would always have a free copy with PlayStation Plus. I have used roughly 50 keys to open 50 loot boxes. If you love the game that much then you’re the type of person who should spend a bunch of money on Dreadnought—but you are not that person. 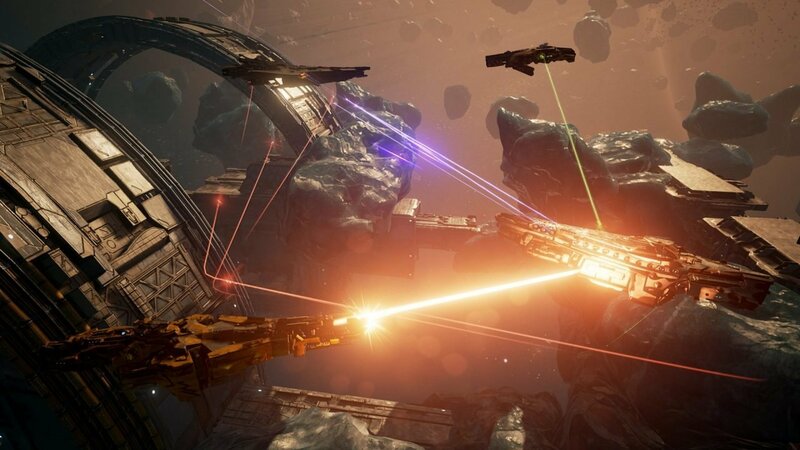 That person is not reading this review because that person is too busy playing Dreadnought right now, and to be honest you should go join them if the concept interests you. I can’t think of a free-to-play game that is better balanced in favour of the guy not spending money on it. Liked this article and want to read more like it? Check out more of Bryan Calhoun’s reviews such as Destiny 2, Dead By Daylight Special Edition, and Madden NFL 18! I have yet to find another free-to-play game that is so fair to the player not spending any money on it.